Welcome to the Film Studies Program at Washington State University! We offer courses and a Minor in Film Studies degree program for anyone who is interested in the history, theory, criticism, and production of films. 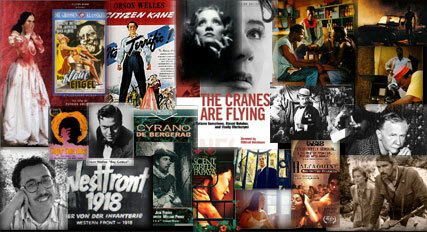 The Film Studies Minor introduces students to the critical study of cinema and media studies. It explores how cinema both reflects and influences the facts, ideas, and activities of any given society, and how film allows us to travel to most places in the world and become familiar with diverse cultures, traditions, and ways of thinking. The film studies minor also teaches students how to discern the cinematic and narrative features that are used in cinematography and how culture can influence them. The study of film encourages critical thinking, respect for cultural diversity, and detailed knowledge of film as a text of facts and ideas. Demonstrate an understanding of the basic conceptual vocabulary used in the study of film—i.e., the ability to define and use terms appropriate to cinematic genres and techniques, critical and theoretical approaches to film. Demonstrate an understanding of the history of national or international film and/or some of the major filmmakers and works. Recognize cinematographic features that enhance film viewing, and demonstrate the ability to analyze a film in terms of its formal dimensions, including editing, composition, imagery, and tone. The core courses are tied to and determine the program’s learning goals and outcomes. All core courses must be taken at WSU. At least nine credits in the minor must be upper level (300-400). The Film Studies minor program is designed by the student in collaboration with the film studies coordinator and/or advisor for the campus, and must be submitted to the coordinator for certification. You may choose electives from courses geared towards critical approaches to cinema, as well as courses that focus on training or skill building that could be applied towards film production. No more than two courses with the same prefix or content area (as in cross-listed courses) may be applied towards the minor. The intent of this minor is to broaden and enhance knowledge and/or incorporate additional skills in the student’s academic preparation. After consultation with the film studies advisor, a maximum of two elective courses may be transferred to the film studies minor from accredited study abroad and other university/college programs. A maximum of three internship credits may count towards the minor as an elective option. Courses marked with an “*” require prerequisites; please check the course catalog for more information. Please note that COMJOUR courses are available only to certified COM majors or minors.